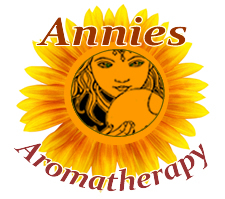 Preparation Methods & Dosage :You can use soapwort root as a simple bath additive by crushing some dried root and putting a few tablespoons in a muslin bag. If you boil the root first to extract the juice, the results will be even better. Soapwort doesn't product much noticeable lather, but gives the bath water a slippery feel, and leaves skin feeling soft and smooth. 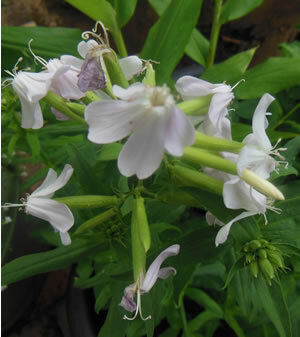 Soapwort is a great herb to use for skin and hair care and forms the basis of conditioning shampoos and body washes. Can also be taken as a tea. 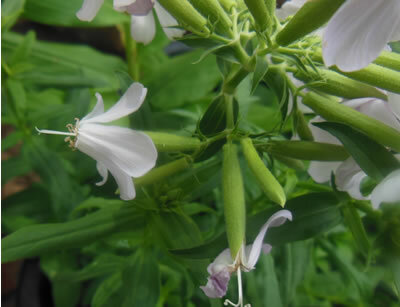 Soapwort Side Effects: Soapwort is a strong purgative and mildly poisonous in large doses. Internal use should be guided by a qualified herbalist. Flowers: Pink or whitish, fragrant, about 1 inch broad, loosely clustered at end of stem, also sparingly from axils of upper leaves. Calyx tubular, 5-tooth.ed, about f in. long; 5 petals, the claws inserted in deep tube. Stamens 10, in 2 sets; 1 pistil with 2 styles. Flowers frequently double. Stem: 1 to 2 ft. high, erect, stout, sparingly branched, leafy. Leaves: Opposite, acutely oval, 2 to 3 in. long, about 1 in. wide, 3 to 5 ribbed. Fruit: An oblong capsule, shorter than calyx, opening at top by 4 short teeth or valves. Preferred Habitat: Roadsides, banks, and waste places. Soapwort prefers well composted soil and excellent drainage. Part sun with some afternoon shade is best. Keep it contained in big pots, or it will spread by underground runners and take over garden space.